"Clean, great location, beautiful room." Loved our stay at the Doubletree Suites in Cambridge. The hotel was clean and the staff was fabulous. Our room was wonderful. I highly recommend a room with the view of the river. Walking to Harvard was easy. We hope to visit again! 10-Apr-2019 Verified Review, stayed from Fri Apr 05 to Sun Apr 07 2019 at a $206.00 average nightly rate. Whether you come to Boston for business or pleasure, a comfortable stay awaits you at Doubletree Guest Suites Boston – our premier, full-service, Boston suite hotel. Make your Boston visit special at this luxury Boston suite hotel, located along the scenic Charles River overlooking the Boston and Cambridge skyline, with easy proximity to Harvard University and Harvard Business School, the Harvard John F. Kennedy School of Government, MIT, Boston University, and Boston College. Doubletree Guest Suites Boston also features Scullers Jazz Club right in the hotel. All this and more are yours at Doubletree Guest Suites Boston, a glittering jewel among Boston suite hotels. 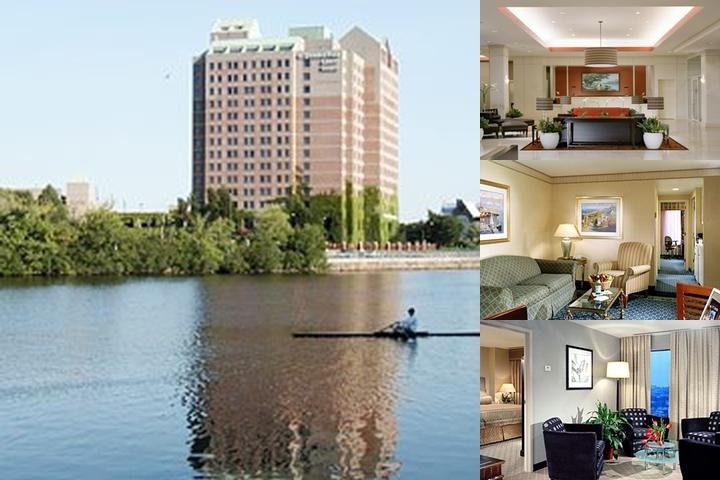 Below are the meeting, banquet, conference and event spaces at Doubletree Suites by Hilton Boston. Feel free to use the Doubletree Suites by Hilton Boston meeting space capacities chart below to help in your event planning. Hotel Planner specializes in Boston event planning for sleeping rooms and meeting space for corporate events, weddings, parties, conventions, negotiated rates and trade shows. 37 x 26 x 11 Ft.
53 x 45 x 10 Ft.
41 x 50 x 10 Ft.
18 x 26 x 11 Ft.
29 x 25 x 8 Ft.
24 x 23 x 8 Ft.
37 x 71 x 12 Ft.
37 x 44 x 12 Ft.
37 x 27 x 12 Ft.
59 x 95 x 10 Ft.